Ben and I went fishing on Saturday morning hoping for a bass. The sea was quite calm and we were hopeful as we started off. I was fly fishing and Ben had on his favourite plug. At first there was nothing doing so I changed to spinning with a spoon soon afterwards we both began to get bites. It wasn't just the odd knock but lots of bites, sometimes several on a single cast. Once or twice the rod whanged over but we could not hook anything. 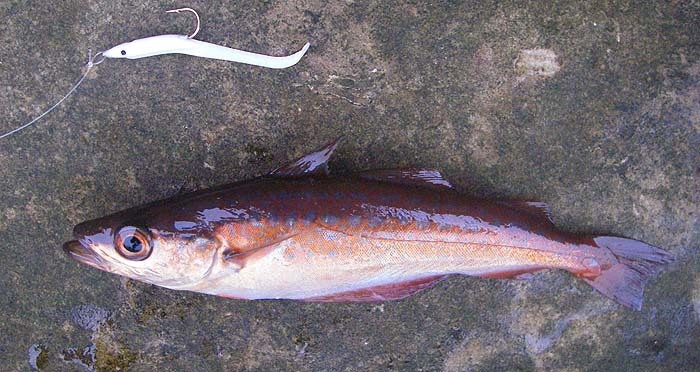 Eventually we decided that it must be squid because even small pollack eventually manage to hook themselves on the bass lures. Anyway, whatever the culprits were we couldn't hook them. I switched back to the fly and by now there were tiny pollack everywhere, however they were also difficult to hook. In fact I managed just one tiddler, fantastically coloured in copper and blue, but not what we wanted - that's fishing! On the same weekend my daughter Rachel, her husband Mark and their new baby Marcel came to stay for a couple of days. 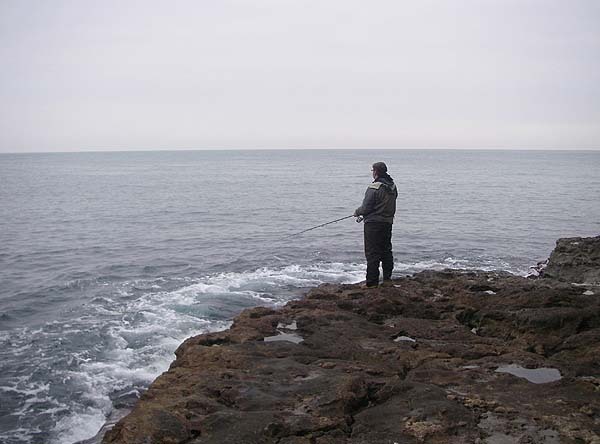 Mark's a keen angler but we'd never fished together before so I'd suggested that we might try piking. On the saturday afternoon we nabbed a few livebaits and I set Mark up with a rod, reel, circle hook and a cork for a float. 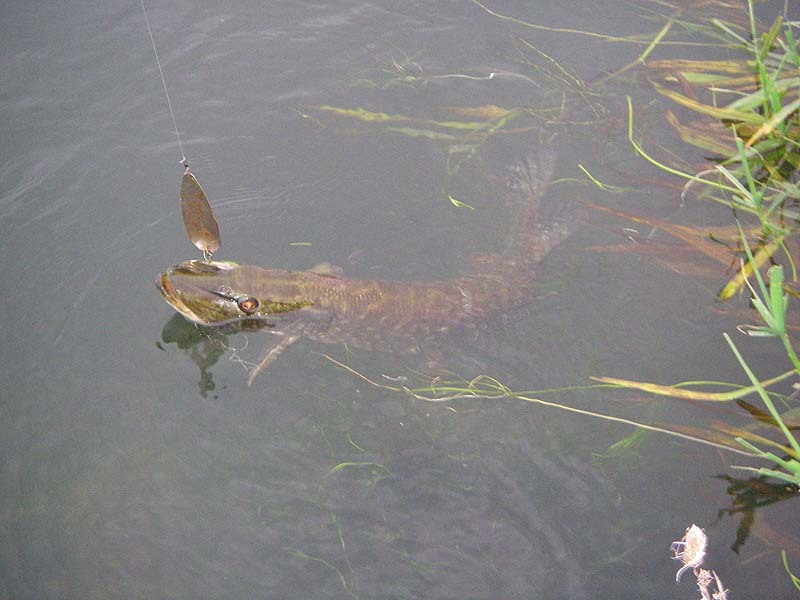 It was only minutes before a small pike took the bait but it couldn't manage the hook and came unstuck. Then he hooked and lost a second larger fish and a third one also evaded capture. To add to our failure I had a decent fish stike at a big rubber lure and failed to hook it - unusually it showed no interest in a natural bait. Pike four - Mike & Mark nil! The next morning we had another go. Eventually we caught a few baits and set off up the river. I left my bag in the car so while I went back to fetch it Mark dangled his bait in a likely spot. By the time I got back he had just banked a nice pike pushing double figures. I took a few pictures and we fished on. To cut a long story short we missed two more pike and a third one just looked at the bait and refused, point blank, to take it - astonishing!!! 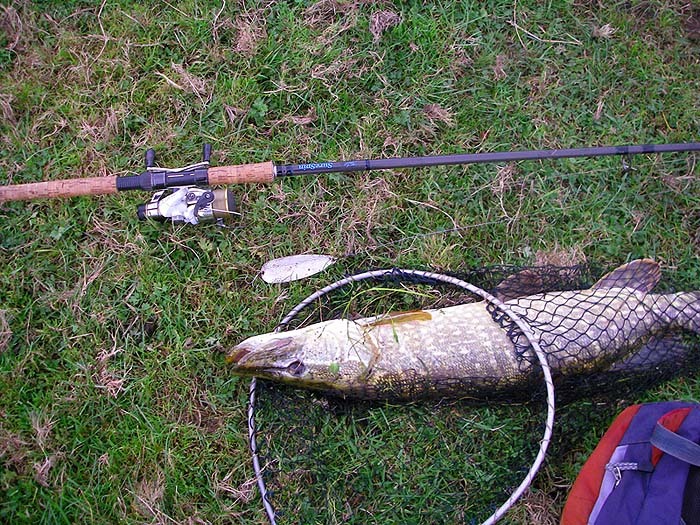 At this point is was pike seven - anglers one. What a downer! To cap it all when we got back home I accidentally deleted the pictures from the camera. Not my day! The following day I decided to have a go with a spoon. I promptly caught the first small one that we'd lost on the Saturday, then I landed the second one that we'd lost - about four pounds. 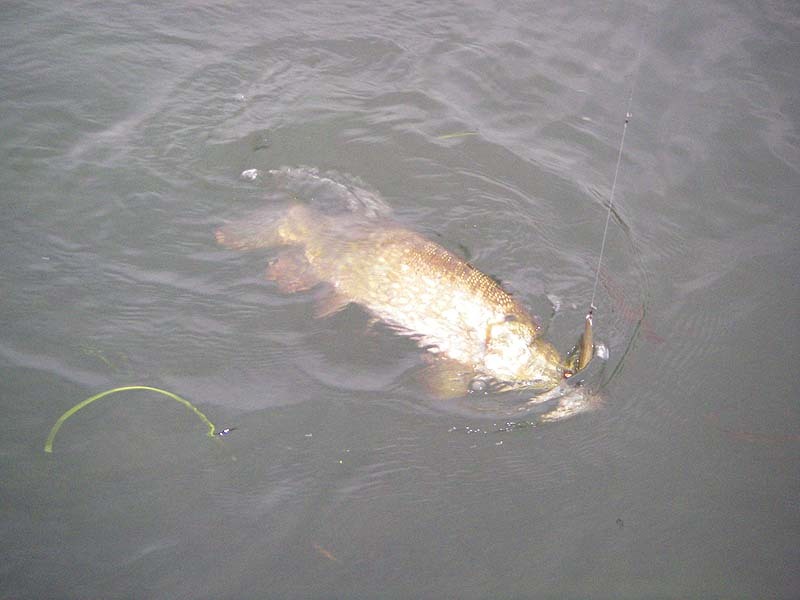 After that I caught the one that had attacked my rubber lure (an eight or nine pounder) before losing a fourth fish. Mike three - pike one. That was better. Next time Mark visits we must do better.